If you want to lose weight easier than before, improve digestion, reduce sugar cravings, clear up acne or other skins problems, sleep better, or address a particular health issue, you have come to the right place. If you are looking to increase your energy, boost your immune system, grow healthier hair and have your skin glow, or meet your daily fruit and vegetable requirements, you have also come to the right place. Smoothies can be the vehicle that help you achieve your health goals, but only if you know what you are doing. How do you learn how to make the healthiest smoothies ever? By allowing me, Ryan Carmody, to teach you what constitutes a truly healthy smoothie. Not only will you learn how to make healthy smoothies, but they will be delicious and something you really look forward to. “I first met Ryan at a local CSA farm located in Brighton, Michigan. His enthusiasm for the farm’s produce and his appetite for native-food knowledge was evident from the very beginning. Introduced by a mutual friend that day, Ryan soon started attending my BeWelle classes on authentic wellness and traditional cooking ways. On more than one occasion, he asked me what I thought of smoothies and each time my reply was “not much”. It’s no wonder I knew him nearly two years before he told me of his smoothie website! What I found in this man and his approach to smoothies was unlike any that I had ever encountered. As many people, my experience with smoothies had been one of mediocre ingredients with overwhelming amounts of fructose. Hi! 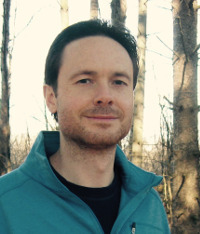 I’m Ryan Carmody and I founded Healthy Smoothie HQ in 2011. I am a full-blown health nut with a love for making the most nutritious and delicious smoothies ever. In September of 2013 I graduated from the Institute for Integrative Nutrition and am now certified as a holistic health coach. It is my honor and pleasure to share everything I have learned and continue to learn about health and nutrition through this site. Shortly before turning 30 my doctor told me it was all downhill from there, and for a while I actually believed him. My energy levels were declining, I struggled getting enough sleep, getting out of bed in the morning was a real chore, I had some skin problems, wasn’t as mentally sharp as I was once accustomed to, and was 15 pounds overweight, despite constant exercise. Basically, my current situation wasn’t good and was gradually getting worse. I also had a heck of time getting enough healthy food, in particular, vegetables and fruits into my diet. Consuming the daily recommended portions was nearly impossible for me due to taste, texture, time, and ultimately lack of information. In my search to improve my health, I discovered smoothies and have never looked back. My first foray into healthy smoothie making began by blending spinach and kale along with some sweet fruit. The result was delicious, and I thought I had struck gold. Can something this healthy really taste so good? Absolutely! For someone who struggled getting enough green veggies into my diet for years, green smoothies were a godsend. In a matter of months I turned my health around. I lost 15 pounds and was right at my ideal weight. I was sleeping better, waking up without nearly as much trouble, and my energy levels and mental clarity improved significantly. I had my mojo back. My doctor was even surprised when I told him how I had transformed my health through healthy smoothies. As my smoothies have evolved over the years, so too has my diet and knowledge of all things relating to health. This site was born out my desire to share the information I have acquired and continue to gather with the goal of helping others improve their health and quality of life just like I have. 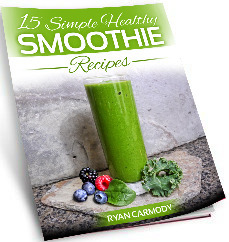 It is my mission to provide a plethora of healthy smoothie recipes and resources for all walks of life and preferences. I’m convinced there is a delicious smoothie for everyone. Lastly, but most important, I want to make smoothie making fun for all! Check out my Start Here page and subscribe to my free email newsletter and get smoothie recipes, tips, and resources delivered right to your inbox, as well as a copy of my e-book, 15 Simple Healthy Smoothie Recipes, which contains healthy smoothie recipes for the beginner and advanced smoothie maker.